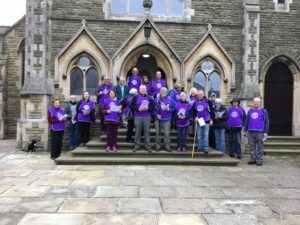 Daily updates from the Journeys of Faith pilgrims taking part in the Epworth Launch pilgrimage from 27 to 29 March 2019. Wonderful day walking from Wesley Memorial Church Epworth to St. Nicholas Haxey, stopping at St Andrew’s and The Old Rectory (where the Wesley brothers were born in the early 1700s) along the way. 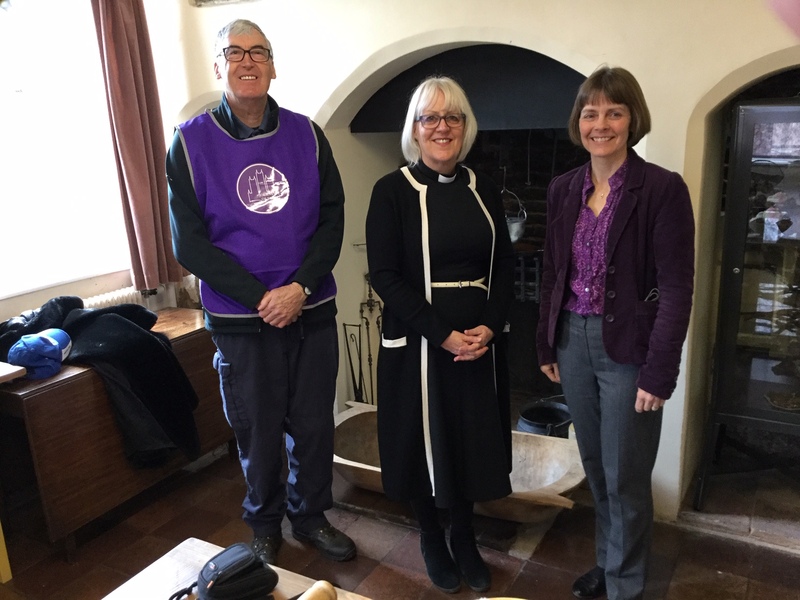 It was fantastic to have the Dean of Lincoln walk with us to the Old Rectory where we met the Epworth Old Rectory Trustees, including members from abroad – also ‘pilgrims’ to Epworth today! We received a very warm welcome at the Wesley Memorial Church and after refreshments explored the church, sang a Wesley hymn and were sent on our way with a pilgrimage prayer from the Minister, Revd Angela Long. Making our way to St Andrew’s church we next saw the tomb of Revd Samuel Wesley on which his son, John, would stand and preach. The Dean of Lincoln led the singing of another Wesley hymn before saying a prayer. On then to the Old Rectory, where we learnt that Susannah Wesley had been the driving force behind the methodical approach that characterised her sons’ approach to religion. This is a museum that’s very worth visiting during this particular Journey of Faith. Finally, down to St Nicholas Haxey, where over 25 pilgrims were warmly received with refreshments to end a thoroughly enjoyable day. Look forward to travelling from West Stockwith to Willingham by Stow tomorrow. We have been enjoying wonderful weather throughout our journey and made wonderful time today visiting seven churches in total including St Mary the Blessed Virgin West Stockwith, St Peters & St Pauls Gringley on the Hill, All Saints Beckingham, All Saints Gainsborough, Gainsborough Methodist Church, All Saints Upton and St Helens Willingham by Stow. We have three walkers from Willingham by Stow who have walked the whole thing and managed to meet us at each church along the way – very impressive! We’ve been singing Wesley hymns at each stop along the way. All the pilgrims are having a wonderful time and receiving a very warm welcome at each church. 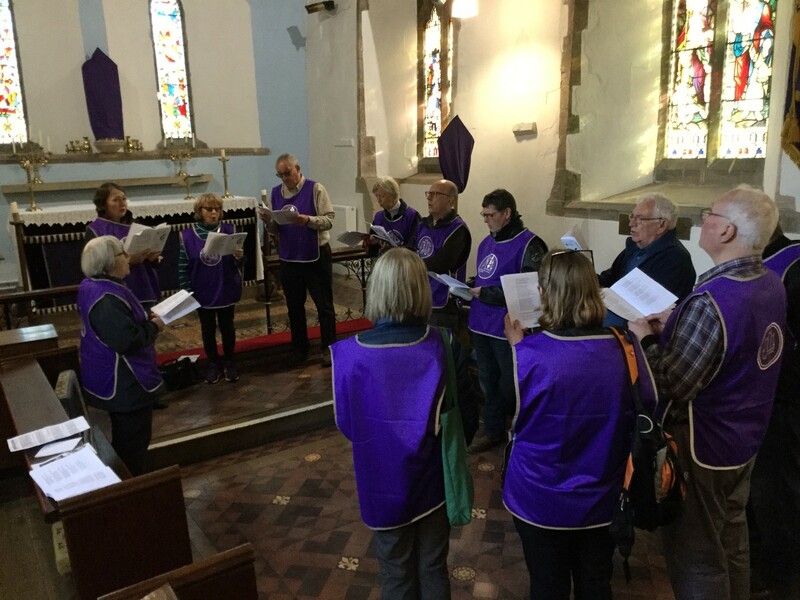 We have sung Wesley hymns at each church on our route, accompanied by Alex from the Cathedral Choir who played organs and pianos at each place. 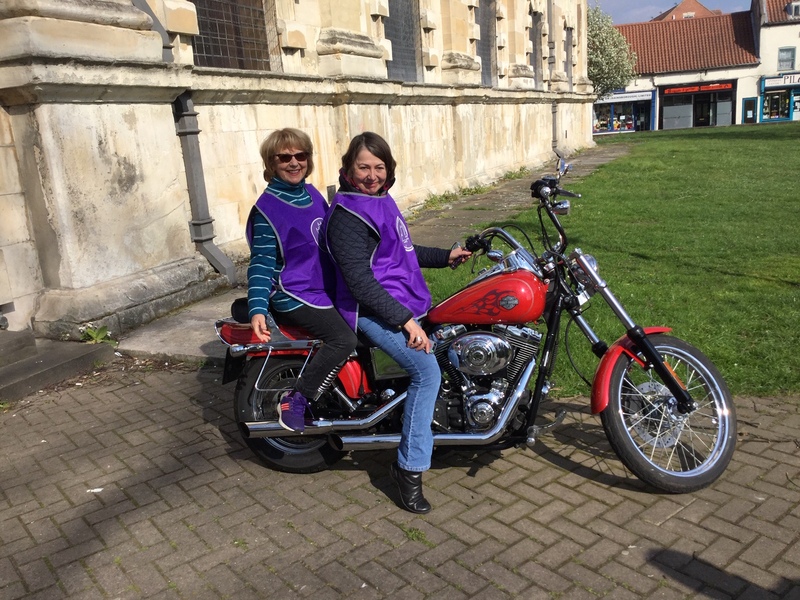 Today we had the added bonus of a group of pilgrims on motorbikes riding ahead of the Choir bus as “outriders”. 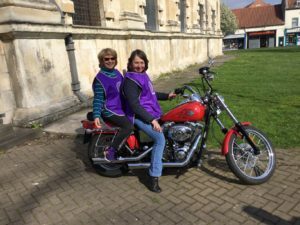 Tomorrow some of us will be horseback riding while others cycle to Lincoln Cathedral from Stow Minster – we’re looking forward to a great last leg of the journey. 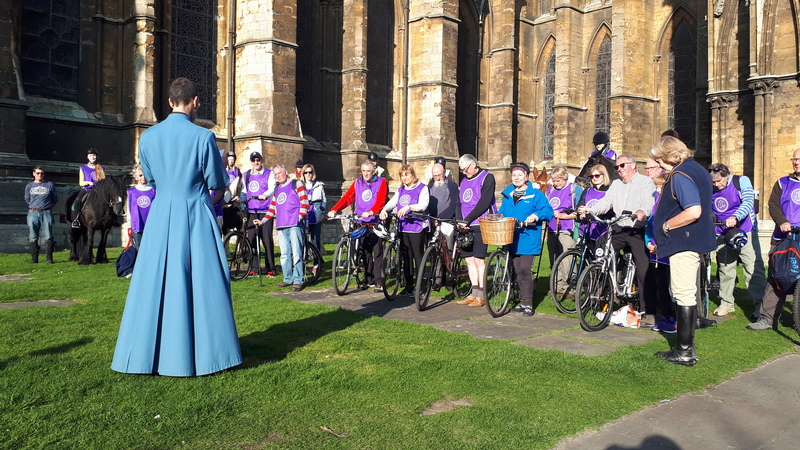 We received a wonderful welcome at Stow Minster where we sang our first hymn of the day and the intrepid cyclists mounted their bikes. We had been lent some marvellous electric bikes from Giant at Doddington which have already proved their worth. The next stop was St Edith’s at Coates; a truly spiritual place and a holy setting for our next Wesley hymn. At Cammeringham we were joined by 5 magnificent horses and then on to North Carlton for lunch. 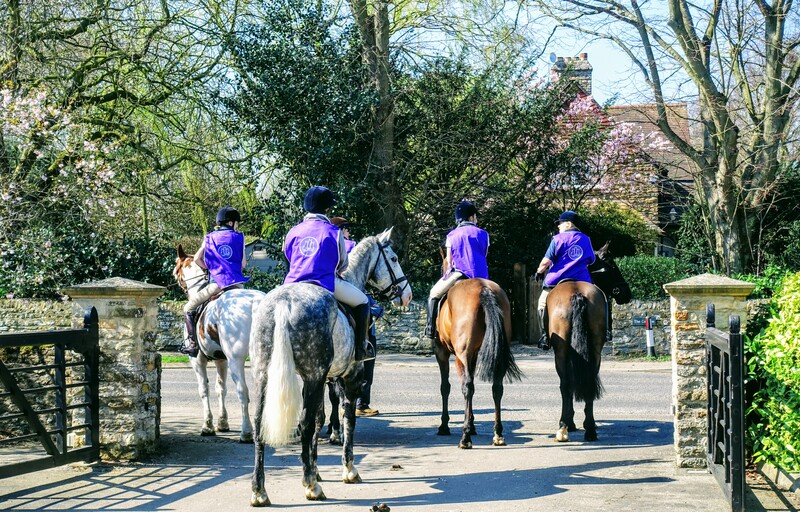 Both groups of horse riders, some from the Park Riding School off West Parade and the others from the Burton Hunt met at North Carlton Church. There their riders, the cyclists and the other pilgrims enjoyed their lunches in the sun and sang the hymn in the open air. It was then onwards to South Carlton where we were greeted by Lady Monson who welcomed us to the church whilst the horses grazed and cooled down in her shady paddock. After singing our hymn and marvelling at the wonderful Monson Monument, we made our way to Burton Church where again we were given a friendly welcome. The heat was by now playing its part and there were several red faced riders and cyclists. The horses eagerly drank the water which was on hand. The next part of the pilgrimage route proved to be quite challenging for the horses. They had to contend with busy and noisy Friday afternoon traffic as they made their way along Burton Road. Having to pass three bin lorries was also problematical! Nevertheless they made it our penultimate stop; Bailgate Methodist Church. There we were welcomed by the Minister, Andy, who proved to be a whiz caterer serving us all with warm drinks and cakes. We sang the allowed hymn and then made our way to the Cathedral where we congregated outside the Galilee Door and were blessed by The Revd Cannon Dr Paul Overend, Chancellor of Lincoln. After this the horses were taken back to their stables whilst many pilgrims had their books stamped at the Cathedral shop before finally congregating in the Cloisters to sing our final hymn, pray and then partake in yet more delicious refreshments. Choral Evensong was a fitting end to this glorious and inspirational three day journey. We are truly blessed.